The Samsung Galaxy S3 has been a blockbuster hit since it was launched in May this year, but it's not all good news for the record-breaking handset. The availability of the 64GB model is still in question here in the UK, with retailer Clove recently announcing that it won't be stocking the largest capacity Galaxy S3 because "unfortunately the number of pre-orders that we received did not meet the minimum required to bring stock into the UK". 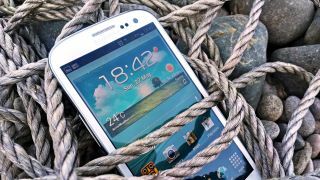 While other retailers haven't ruled out the handset, Expansys told TechRadar, "We haven't closed the book on the 64GB Galaxy S3 yet, and if we do get more orders placed we could still get them in." The big high-street retailers are yet to stock the 64GB version, with both Carphone Warehouse and Phones4U unable to confirm whether or not they will be stocking it in the future. We know there is a demand for larger capacity smartphones, with Apple pushing its 64GB iPhone 5 in the UK as well as many other regions round the world. People may point to the price of the 64GB Samsung Galaxy S3, which is a rather eye watering £699, as the reason behind the low demand. However it's still £99 cheaper than the iPhone equivalent. The Achilles heel for the largest capacity Galaxy S3 is probably the inclusion of a microSD card slot in the handset, allowing owners of the 16GB and 32GB versions to easily (and cheaply) bump up the amount of storage with minimum hassle. We're waiting to hear from Samsung regarding the phone's position in the UK and whether it has found it difficult to push the 64GB blower here.